This is the description that displays on search engine result pages. This week's #MeaningfulMonday calls on us, all of us, to rethink how we "do school". Whether it's bell schedules, disciplines, the role of the teacher or the role of the learner, this provocation provides us with a healthy dose of why do we do things the way we are doing them? All stakeholders, parents, teachers, students, community members, need to watch this. Make your Monday meaningful y'all. This week's #MeaningfulMonday is all about honouring creativity, diversity and originality. It's about showing our students that we value their voice, their passions and their interests. It's about harnessing the unique traits of our learners in our classrooms each and every day. Together, watch this provocation to help lay the framework for more creative and authentic demonstrations of learning and to honour the talents of your students. And thank you to good friend and colleague Jessie Moore for pushing this my way. As an inquiry teacher I love shedding light on the power of questions as the start point of learning. 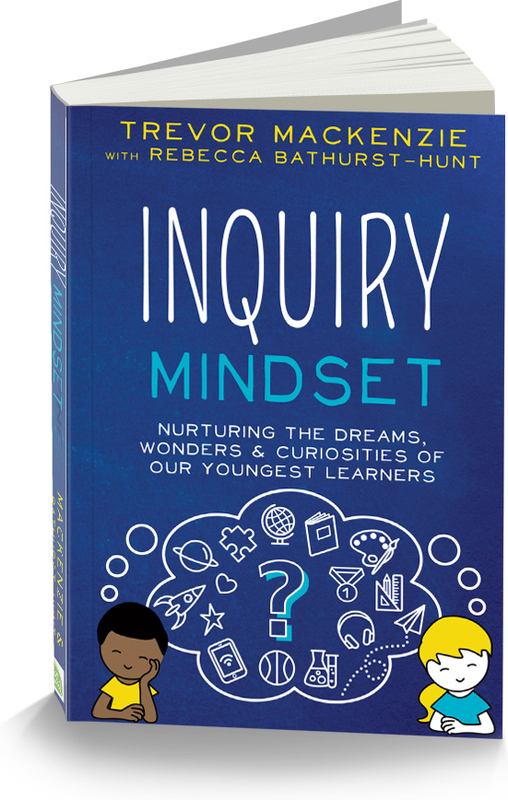 Whether the question is simple to answer or is personalized, possesses room for interpretation, and provides opportunity for rich and meaningful researching, questions stir wonder, curiosity and interest. Case in point this week's #MeaningfulMonday. A recap of some Google searches from the year and yes, they will strike a chord. Shout out to edufriend Natasha Rachell for pushing it my way. You rock! For this instalment of #MeaningfulMonday check out Ms. Nunez making the difference in the lives of her learners and how tech, although it doesn’t drive the learning experience, powerfully impacts it. Make your Monday meaningful y’all.